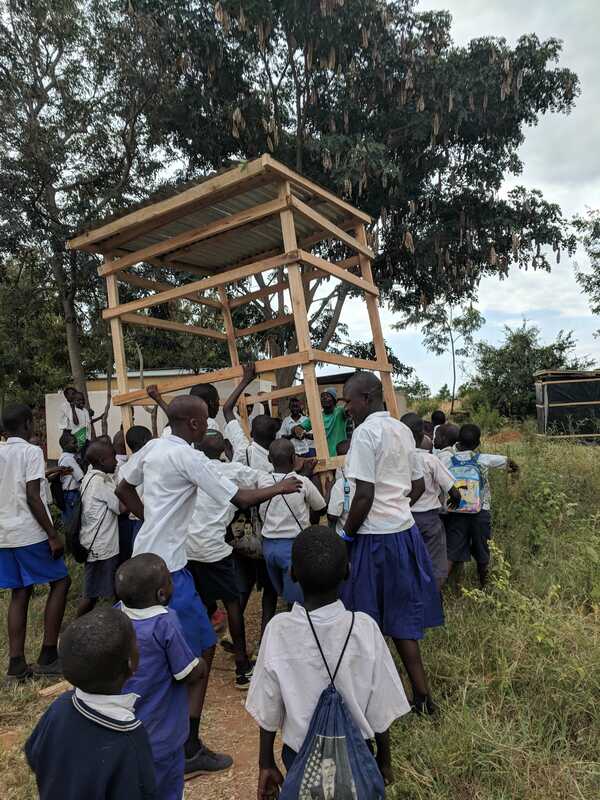 Inspired by the success of Elliot Skopin’s Arborloo project at the Maji Safi Group office, four Arborloos were recently built and installed at two schools in Shirati, Tanzania. Two of the most attractive design points of the Arborloo toilet are its cost-effectiveness and its ease of construction. Additionally, Arborloo toilets have the benefit of generating safe and nutrient-rich compost from human waste without requiring any handling of excreta. Once the Arborloo pit is nearly full, the top is covered with at least 15 cm of topsoil and allowed to sit for a few months. Afterwards, a tree or small garden can be planted on top of it, and the newly formed compost will provide essential nutrients for healthy and rapid growth. 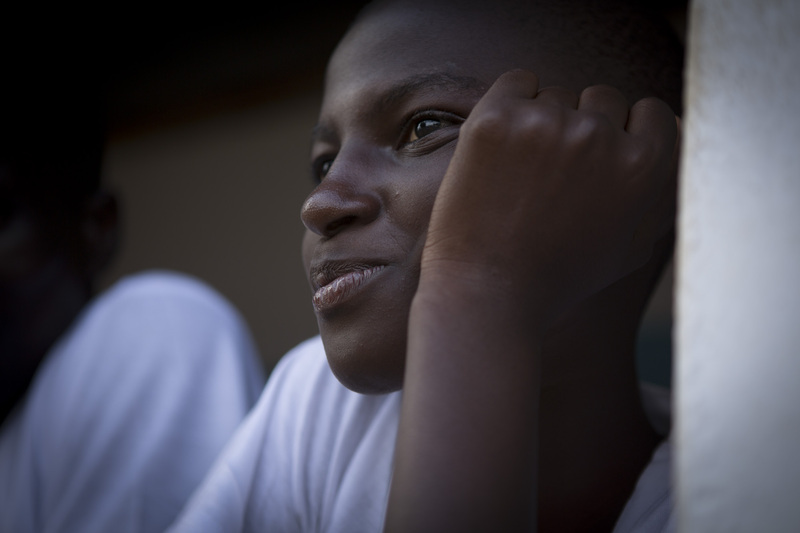 For these reasons, two toilets were installed at Katuru Secondary School, and two were installed at Sota Primary School. Each school received one toilet made of jamvi (reed mats) and one toilet made of sheet metal. These two designs have different benefits. 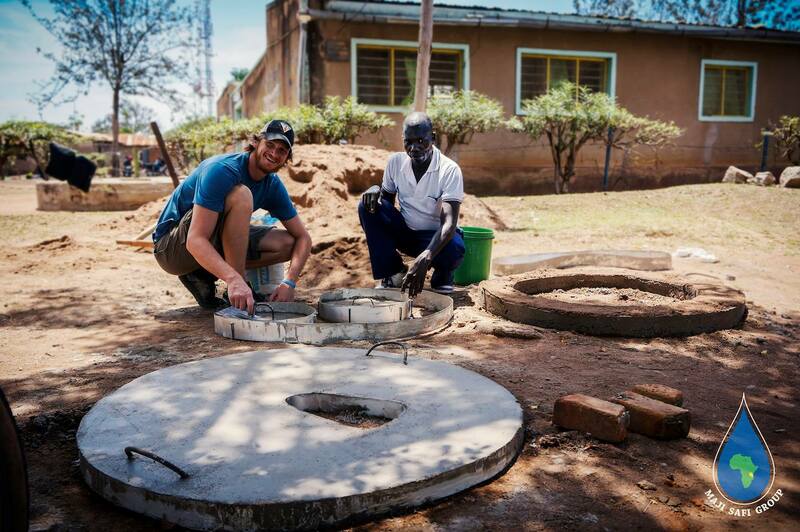 The jamvi toilets are very inexpensive to make and easier to transport, due to being lightweight. The sheet metal toilets are more durable but also more expensive and heavier. 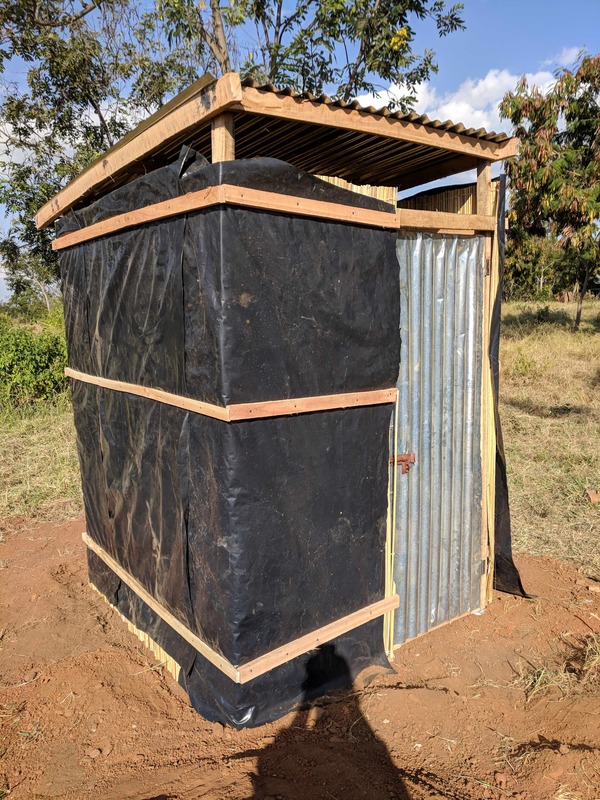 Since these toilets were installed at schools, the high volume of users made it necessary to pilot a durable design that would not require maintenance every time the Arborloo needs to be moved to a new pit. Fourteen high school students from Rustic Pathways, an organization that focuses on cultural immersion and interacting with the community, helped install the four toilets under the supervision of Maji Safi Group’s Community Health Educators (CHEs), local carpenters and masons. Students from both Katuru and Sota also helped dig the pits, saw wood, and install the superstructure, ring beam and slab. Following installation, the CHEs returned to the schools to introduce students to the design, use, and benefits of the Arborloo toilets. Students were encouraged to ask questions and discuss the differences between typical deep-pit latrines and Arborloo toilets. Currently, lessons that address the construction, maintenance and composting process are being refined and implemented at the schools. These will form the basis for Arborloo education and be adapted for different audiences. 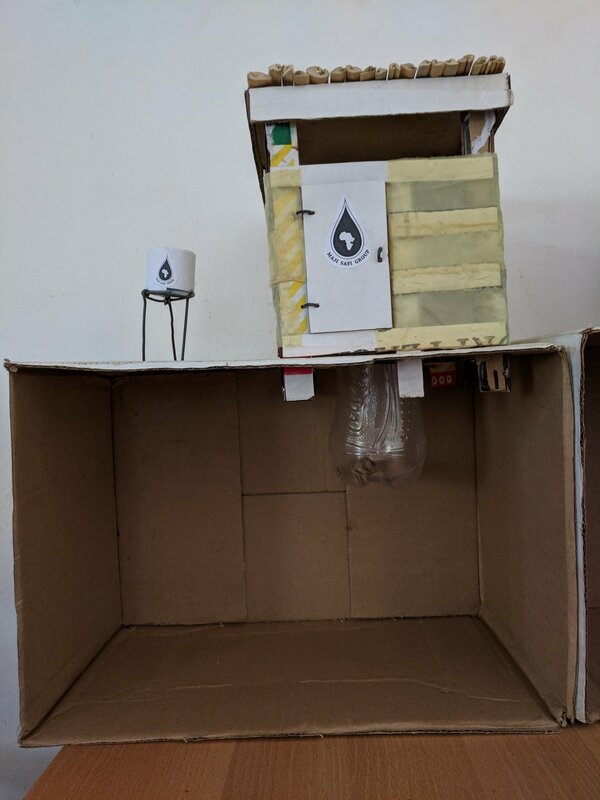 To further help facilitate understanding of Arborloo construction, several small cardboard models of different designs are being created. Each model consists of a pit (plastic bottle), a ring beam, a slab and a superstructure with a roof. The ring beam and slab have removable tops, so participants can see the faux wire mesh and rebar structures inside. Because no toilet is complete without a handwashing station, all models come with a demonstration stand and bucket to remind everyone of the importance of combining proper sanitation facilities with good hygiene practices. A week after installing the Arborloos and teaching the students how to use and maintain them, Maji Safi Group’s CHEs revisited the Arborloos during an after-school program to monitor whether the students were using them. Dirt, ashes and excreta in the pit were noted by the CHEs, and the students reported that they were very pleased with this additional facility. Hopefully, these students will become Arborloo ambassadors to their families and in the community to help end open defecation in Shirati!